The mission of MCDS Summer Discovery is to engage and captivate young people’s imaginations in project-based, hands-on experiences. Spending the summer on our inspiring campus and working in our Science laboratories and Technology Makerspace, participants will gain a conceptual understanding of how technology, science, and nature interrelate, experiencing all aspects of a STEAM (Science, Technology, Engineering, Arts, Mathematics) education. MCDS Summer Discovery won Hulafrog’s Most Loved Award! Register nowRegistration for Summer Discovery 2019 is now open! Space is limited! Register now to ensure you get the courses you want. For Summer 2019, we will be presenting all new content, courses and activities! See below for information about upcoming Summer Discovery sessions. Hover over the course name to see the course description. Grade levels below refer to the grades students will be entering in Fall 2019. 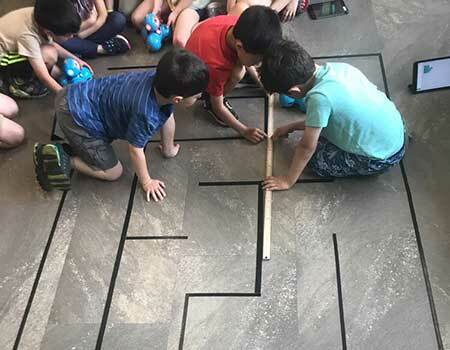 June 17–21 World Wizards Campers will explore various earth science concepts including: weather events, rocks and gems, trembling earthquakes, and even our nearest planetary neighbor—the Moon! Planetary Protégés Scholars will explore distant worlds as well as our own wondrous planet, create cloud chambers, simulate earthquakes, and prepare for pretend natural disasters. GeoExplorers Study the stars and the solar system, design earthquake safe structures, study weather patterns and make predictions. Design your own cut gemstone on our 3D printers! June 24–28 SESSION FULL CyberSonics Students will build and test models of Lego WeDo robots to complete challenge courses, wire and test LittleBits Circuit Kits to transform ideas into amazing inventions, and don’t forget the drone competition! 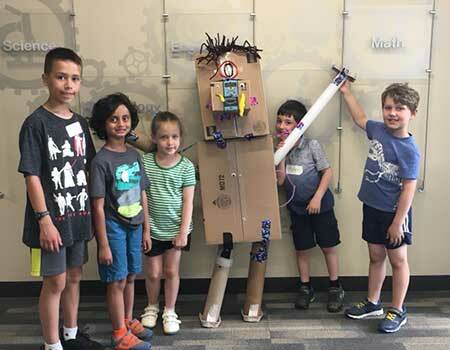 Brainy BattleBots Students will build and program Lego EV3s and fly mini Parrot Drones to draw shapes, navigate obstacle courses, perform a aerial dance show, and construct motion and simple machines using our LittleBits Circuit STEM Kits. 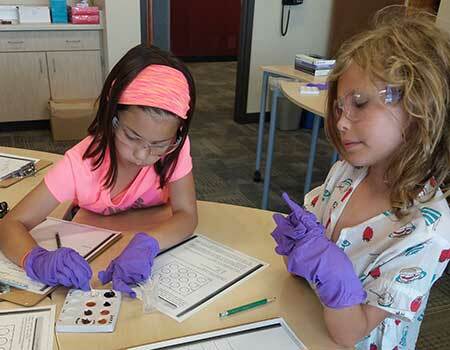 July 8–12 SESSION FULL ElectroBlazers Discover the world of magnets and electricity! Students will find new ways to wire batteries and increase power; connect LEDs, motors, and speakers; and power up electromagnets to see how strong they can become. Mighty Magnets Discover how magnets and electricity are connected; construct electromagnets; wire motors, lights, and alarms to design your own invention; use magnets to create art patterns. July 15–19 SESSION FULL Crafty Creators Posterize, stickerfy, and add special effects to your favorite photo collage. Stop-motion videos and 3D digital sculptures are sure to keep these artists busy! FabLab Crew Create your own Photoshop work of art that can fool most human eyes, perform your very own newscast in our green screen recording studio, decorate your room with personalized life size room poster, and design a light show set to music. July 22–26 1 spot remaining: Number Ninjas Create digital music and practice coding all with a goal of composing your own masterpiece. Attempt some fun geometric patterns and use our Osmo sets for Tangram patterns. Mathsketeers Become a virtual DJ combining digital compositions, sound effects, and musical codes. Get stumped by our Mystery Math Puzzles, and practice coding games that interact with live hardware. Math “Pi”rates Compose your own hip-hop, dub-step, or even classical digital songs, take a challenge, and see if you have the analytical skills to solve our week-long math lockbox. New coding courses for every level! 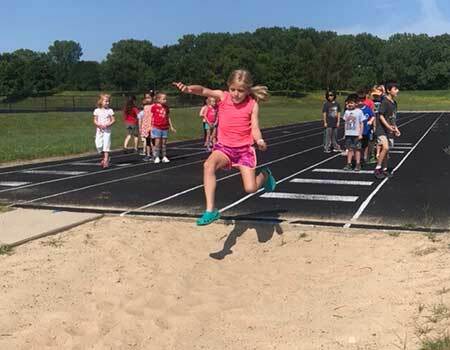 July 29–Aug 2 SESSION FULL SuperStars Investigate the secrets behind various sporting events, examine how forces of friction and motion affect simple sports tasks, and attempt to prove or disprove theories about the “best” way to play. Tech-Athletes Figure out how one’s physical fitness affects endurance, use slow-motion video to capture form and compare to top athletes, and use myth-busting techniques to prove or disprove sports science. *$25/week discount for registering for all weeks. Fee includes all materials, equipment use, instruction, and two healthy snack breaks. Campers are asked to pack a lunch, water bottle, and sunscreen. Extended Care (if needed): $10/session. Early care begins at 8 a.m. After care until 5 p.m. Cancellation policy: Full refund if canceled before March 31, less a $50 administrative fee. Cancellation between April 1 and May 31 will result in a 50% refund. Any cancellations after May 31 will not be refundable. If your summer plans change, you can change to a different week without penalty, provided space is available. Each day begins with a welcoming community-building group activity to engage campers and develop friendships. 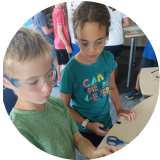 Teachers then supervise small groups during 3 to 4 STEAM activity sessions where campers can build, design, and learn at their own pace. Campers have plenty of time to enjoy the beautiful and expansive MCDS campus including a daily picnic-table lunch overlooking the prairie and outdoor time to play and explore. The day ends with an active and engaging campwide game or activity! 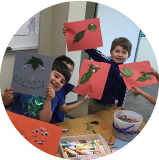 Register nowEmail: Frank Devereaux, Director of Summer Programming, at fdevereaux@madisoncountryday.org.